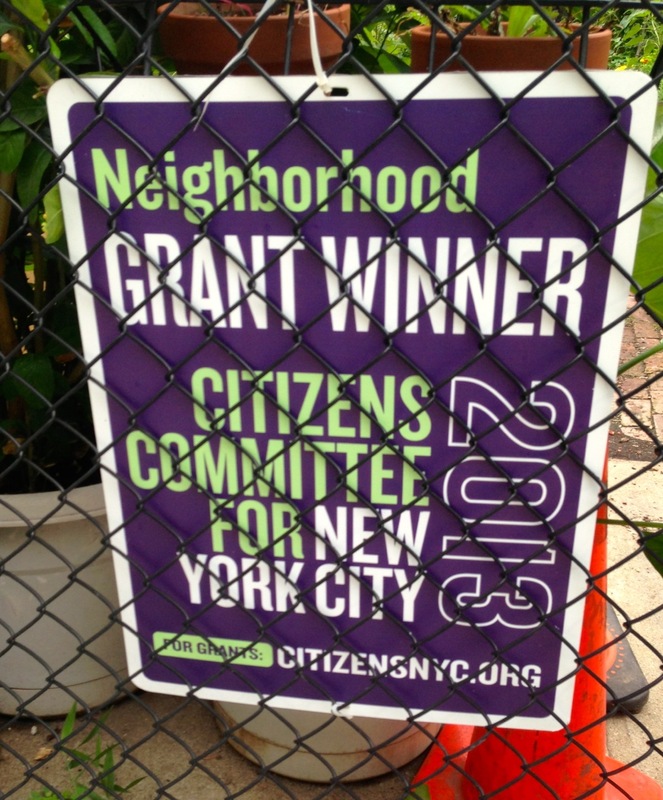 The Children’s Workshop Garden at Campos was created in gratitude to the neighboring Children’s Workshop school for getting a grant from the Citizen’s Committee for New York. 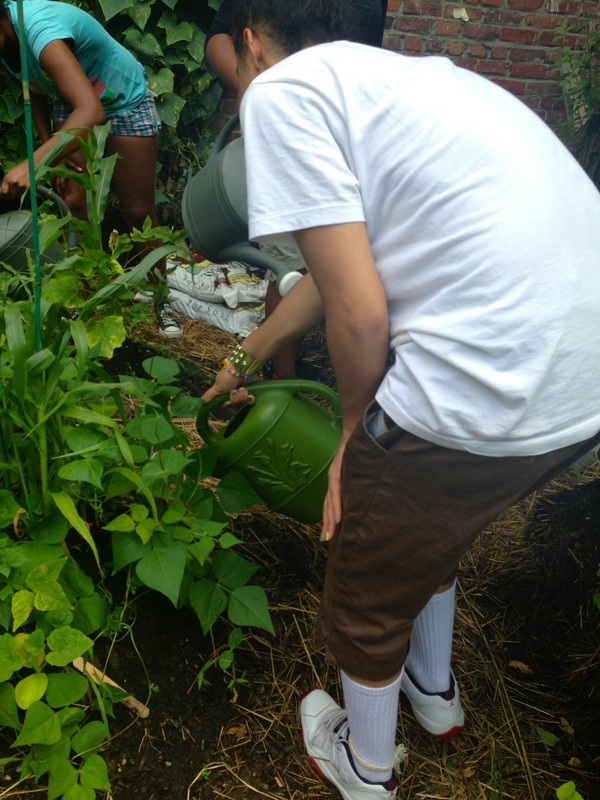 But much of the action in a vegetable garden happens while school is out, so we often recruit or get offers from local youth groups to help out during the summer months with watering, weeding, harvesting. 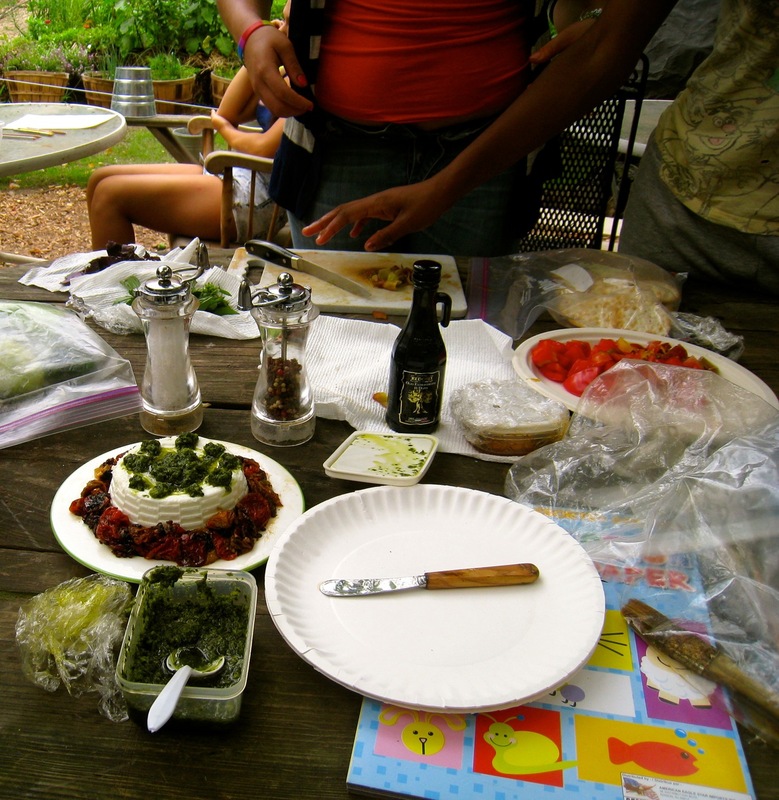 We also use the garden to teach about food and other activities like drawing. All youth are welcome to come and help with the garden so feel free to contact us if you want to stop by or arrange a group. 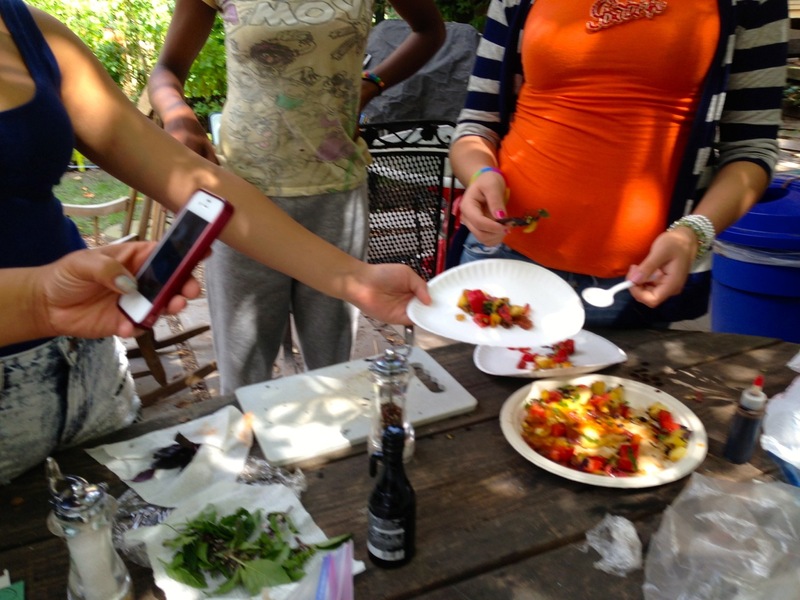 One group of local girls from an area residence have been coming weekly to help out, learn and do some basic in-garden cooking. 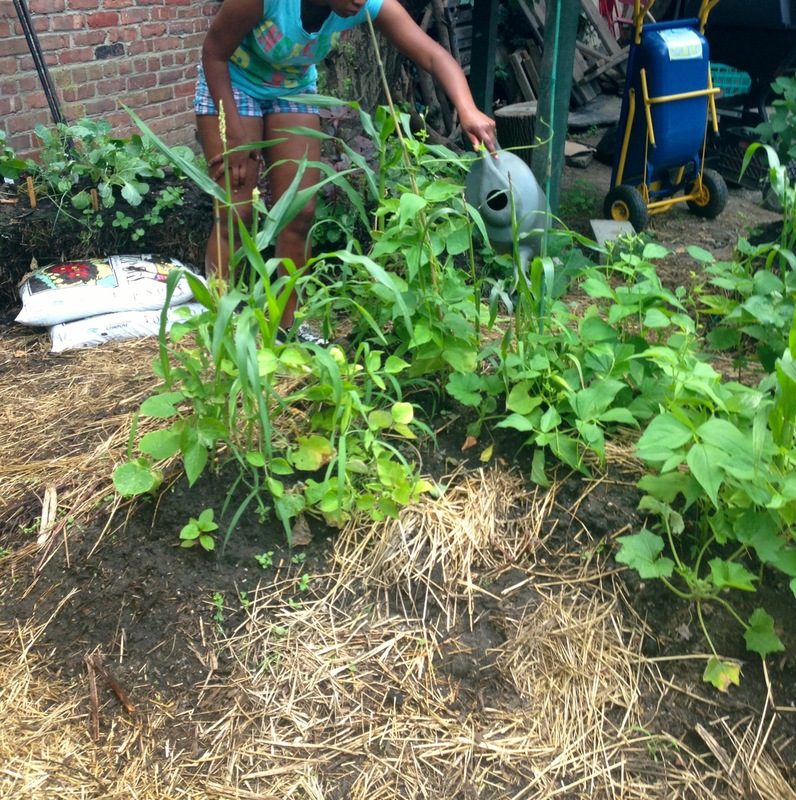 Some of these young women have rarely tasted vegetables and they have been taking to this garden and its vegetables like they’ve been doing this for years. The group changes depending on who is living at the residence, but few regulars have come every week and it’s clear they love this new activity and are growing and learning from the experience. 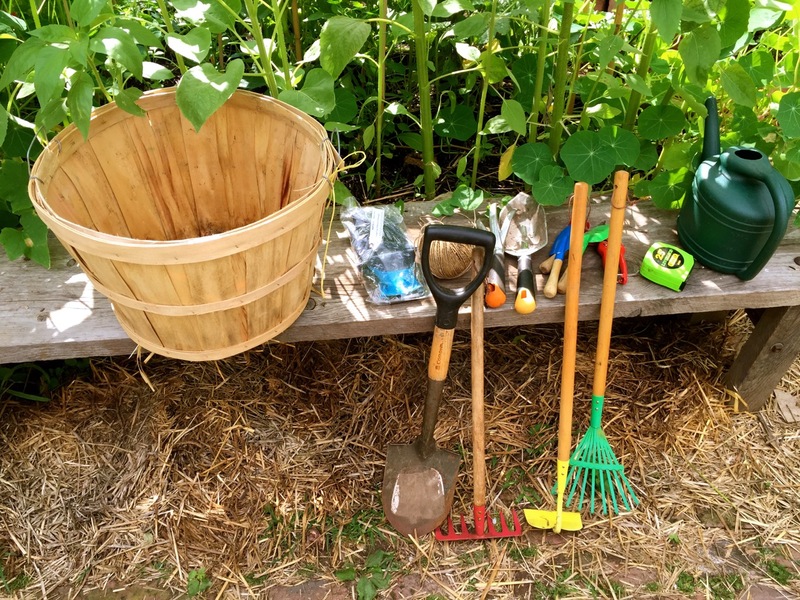 The first week, we toured the garden, talked about the different types of vegetables and learned a bit about all the nutrition and good health that a garden grows. 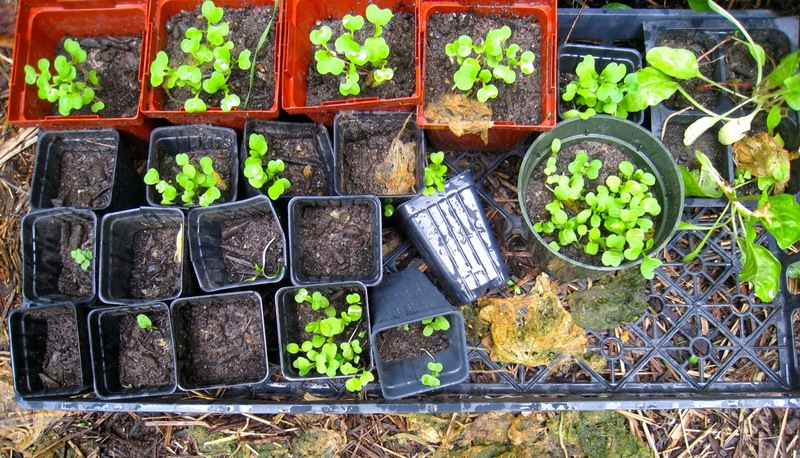 The first and most important task at this stage is watering the plants. 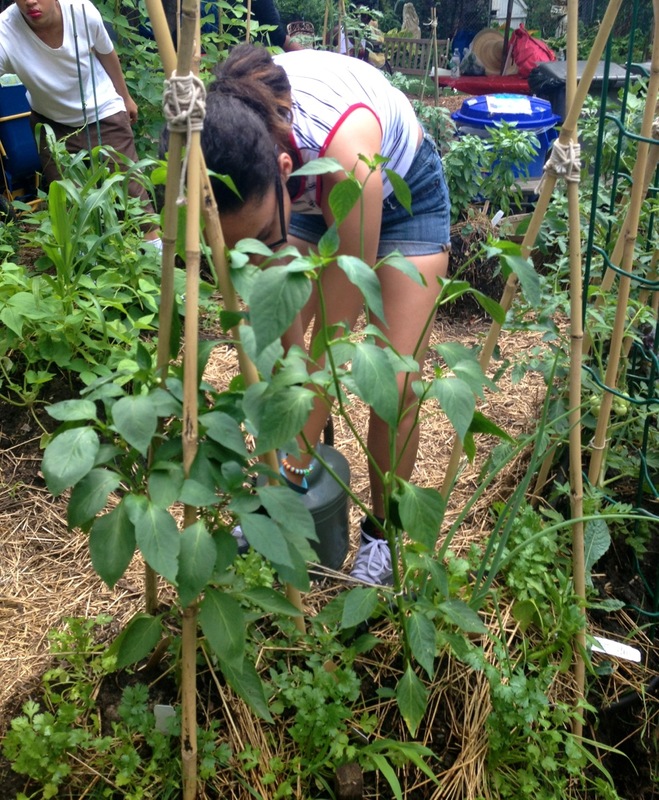 The girls learned how to water properly, at the roots and not the leaves. 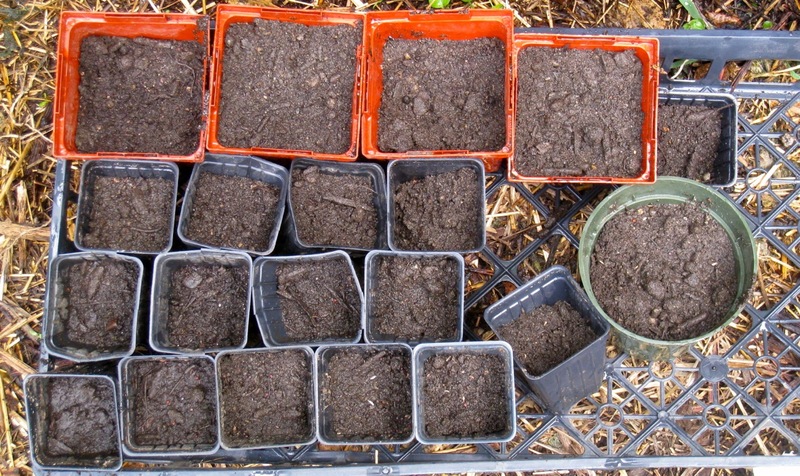 This gives them a chance to get to know the plants each week. 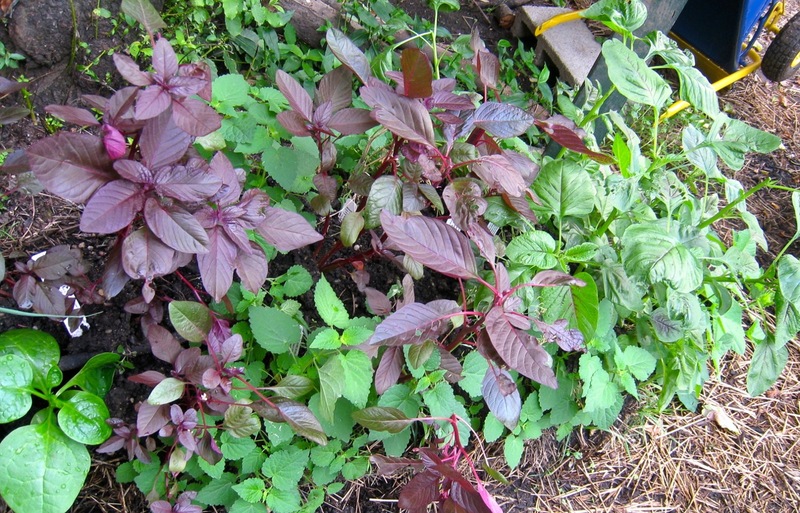 The girls have been harvesting the amaranth, callaloo and collards weekly to take back to the residence for meals but they can’t keep up with these prolific plants. 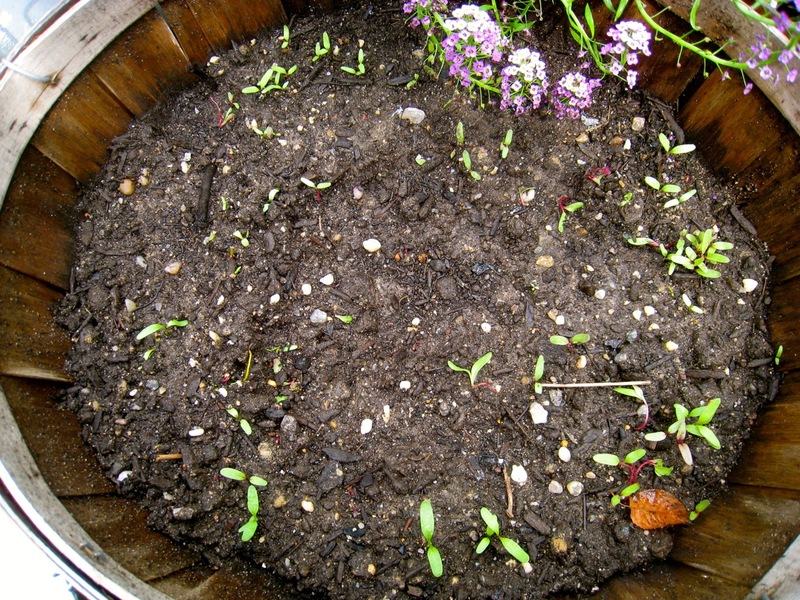 Here are the seedlings a week later! 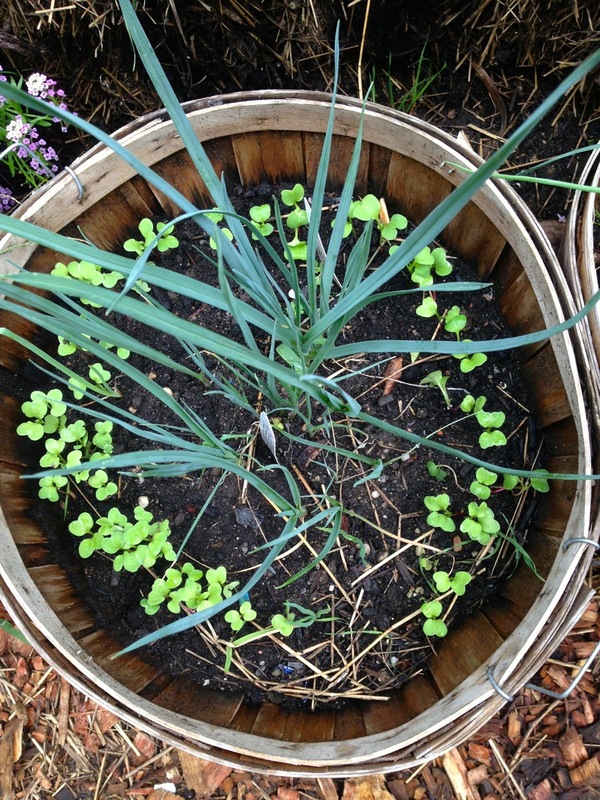 They also planted red, golden, white and Chiogga beets and French Breakfast radishes in the bushel baskets, which have also already sprouted. There is usually a short cooking lesson so the girls can taste the vegetables right out of the garden. We’ve made cucumber and yogurt salad, quick Japanese pickles made with rice vinegar, sugar and salt, which the girls started before their work and were able to eat once their work was done. 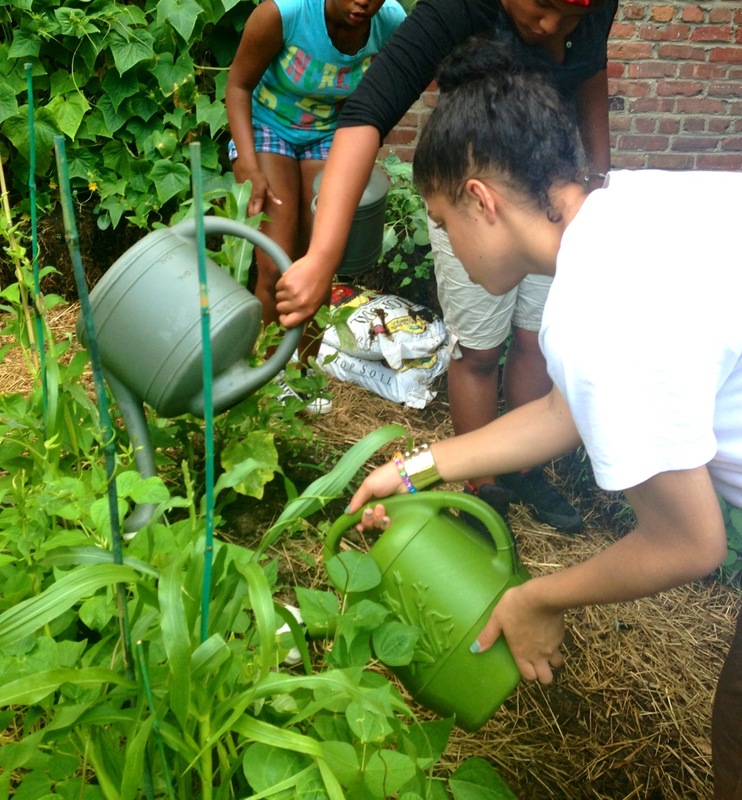 During their most recent visit, the girls learned about the different types of tomatoes in the garden. 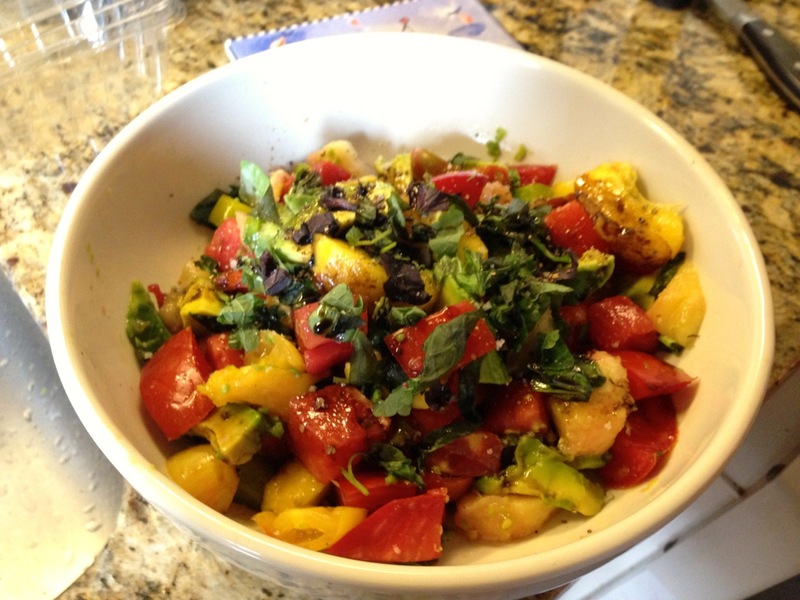 Then they made the Heirloom Tomato and Peach Salad with Basil Salad from a recent post using basil and the sole ripe Cosmonaut Volkov tomato from the garden and some heirloom tomatoes and peaches from the farmers market. Here the girls are serving up their own creation. 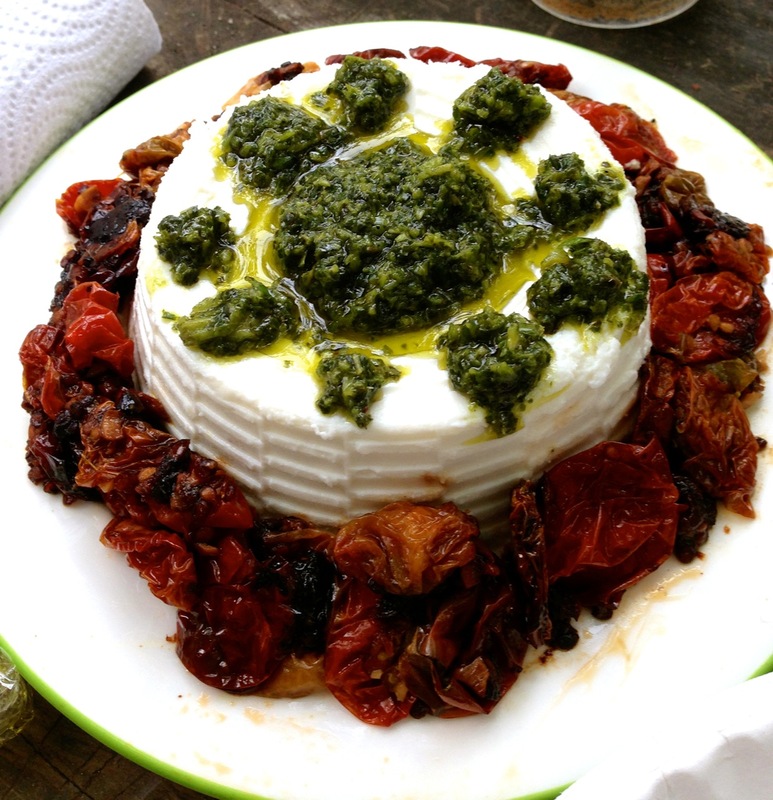 They also had a treat of farm-fresh sheep’s milk ricotta–a healthy cheese with no milk fat–with oven-roasted tomatoes and basil oil. Tomatoes are delicious raw, but slow-roasting (as well as sun-drying) brings out the sweetness and caramelizes the sugars in the tomatoes. 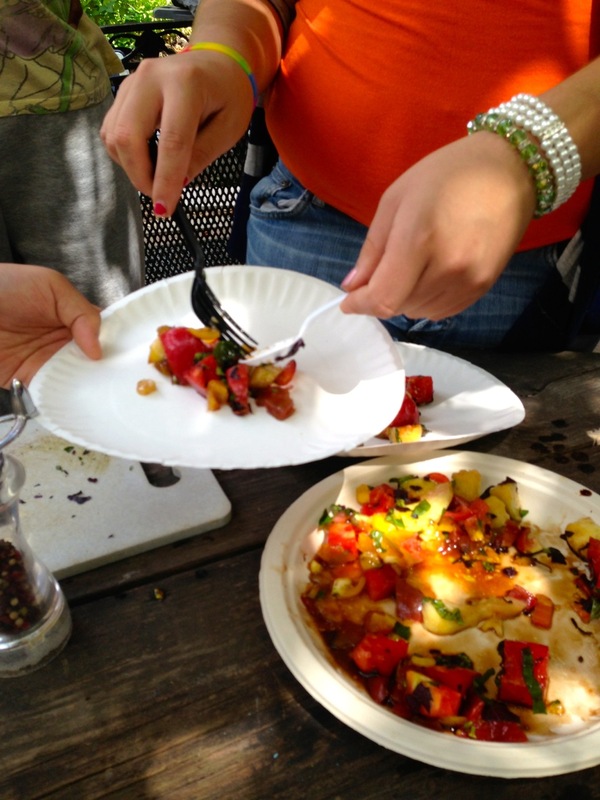 This was the first time any of the girls tried tomatoes like this–they said it smelled like pizza–but much healthier over all. 2. Slice tomatoes in half, place in a small bowl and and toss with olive oil, thyme, salt and pepper. Place on a baking sheet in a single layer. 3. Place in oven and immediately reduce temperature to 250 degrees. Roast for about an hour or so, until tomatoes are wrinkled, caramelized but not burnt. Set aside. 4. Place basil in food processor, add lemon zest, lemon juice, salt and pepper. Process and add olive oil in a thin stream until it forms a loose paste. Remove from processor into small bowl and adjust salt and pepper to taste. 5. 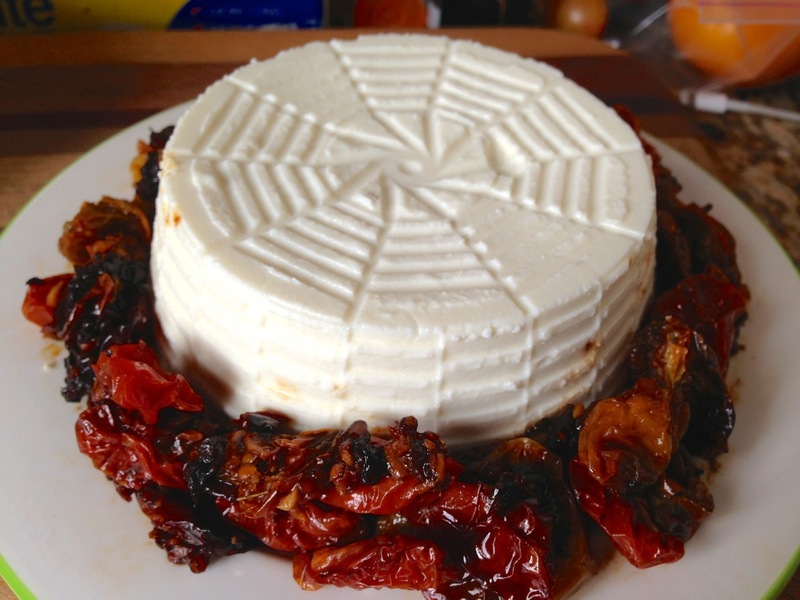 Place ricotta on a plate in a dome shape. 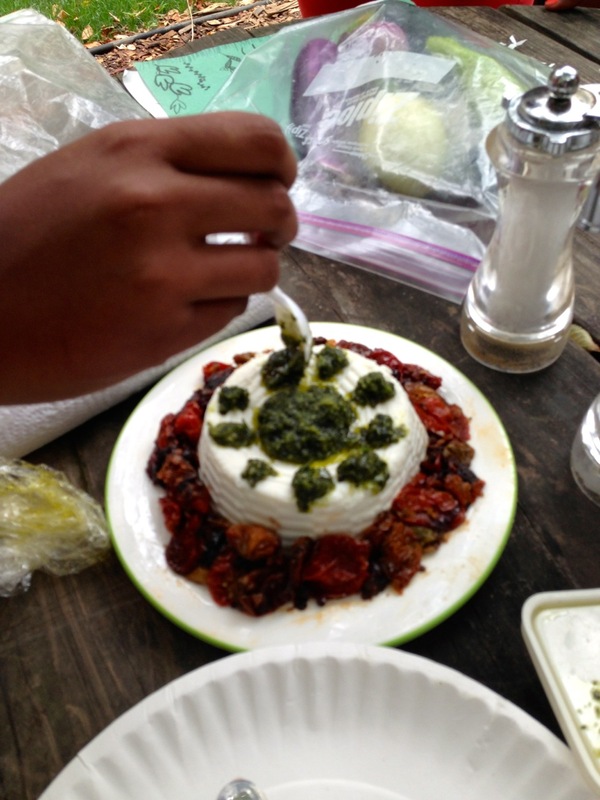 Sprinkle tomatoes around perimeter of ricotta. Drizzle with basil oil and serve with bread or cracker.